Unrecognizable young hipster man in traditional bavarian clothes holding a mug of beer. Oktoberfest. Sunny summer garden. Navigating the grounds can be tricky, and getting a table at one of the exclusive beer tents can be almost impossible. 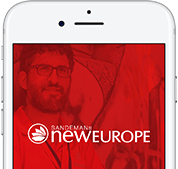 Join SANDEMANs NEW Munich for a guaranteed authentic Oktoberfest experience, with no stress and no fear of missing out. With a reserved table at the Löwenbräu tent, you’re assured a place on the site, while your guide explains why the Bavarians celebrate Oktoberfest, gives you a rundown of the different tents at the fest and a history of the tent you’re in. Your Oktoberfest Experience starts in front of Starbucks Coffee inside München Hauptbahnhof at 10am. Your ticket price includes a table reservation in the popular Löwenbräu tent, a welcome beer, a total of two litres of beer, and even half a chicken to keep you going. 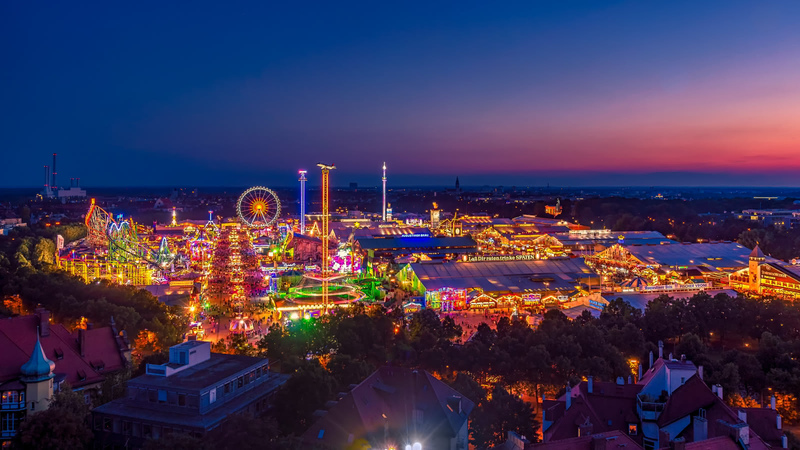 Get lost in the celebrations with this exclusive offer from SANDEMANs NEW Munich. 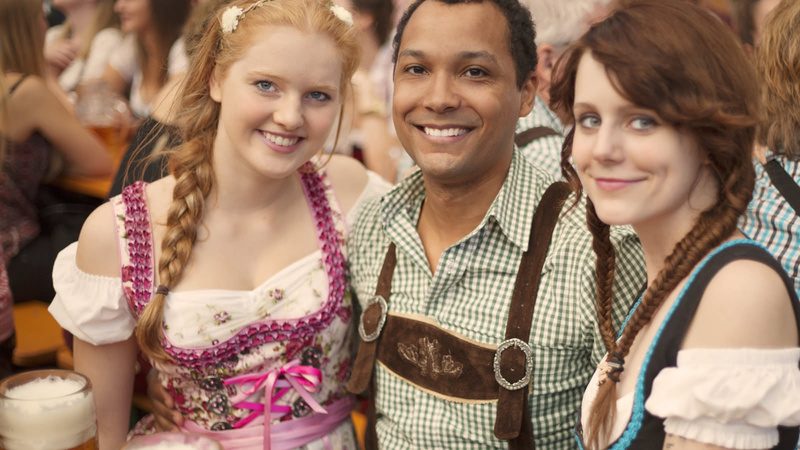 Each September, Munich comes alive with dirndls, lederhosen, and up to 7.5 million litres of beer. 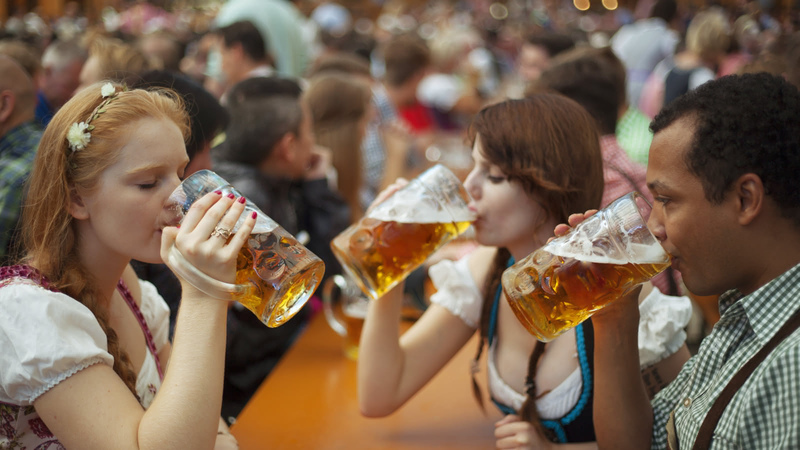 With Oktoberfest being a must-do on so many people’s travel lists, as well as a favourite with the locals, there are normally almost as many million fest-goers as there are litres of beer. Discover some great Oktoberfest fun facts! 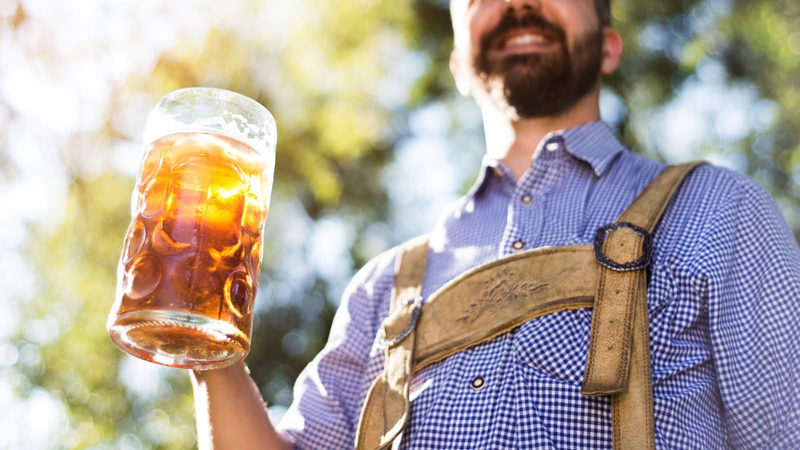 Learn how in 2017, waiter Oliver Stuempfel broke a world record by carrying 29 full beer mugs and how the Oktoberfest lost and found sees up to 4,000 items per year, including sworn affidavits, dentures and the enigmatic wheelchair which is seemingly discovered each year! Reservations are strictly limited and this tour will sell fast, so make sure you don’t miss out!